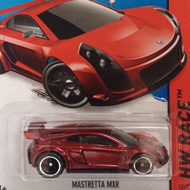 20/250 is part of the HW City series and the 2015 Super Treasure Hunt set. 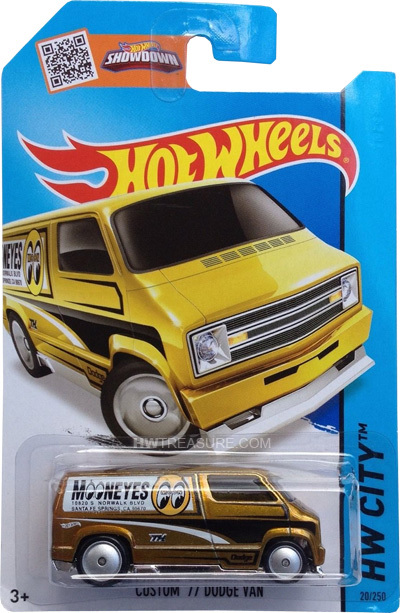 The van features Spectraflame yellow paint with black & white graphics and the Mooneyes logo on the back. 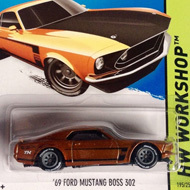 The sides have “Dodge”, “TH”, the Hot Wheels logo, and the Mooneyes logo and address. The van has clear windows, black interior, Real Rider Lake Disc wheels, and a chrome plastic Malaysia base. The Dodge van made its debut in the 2008 New Models series. It is based upon the actual vehicle customized with a clear roof. Mooneyes has produced and supplied auto parts for custom cars, hot rods, and rat rods since the 1950’s. You can learn more about it here.